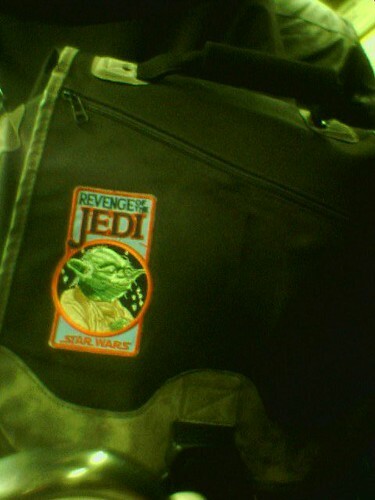 Seen on a messenger bag: “Revenge” of the Jedi? And why’s Yoda there when he was barely in the movie? Confusing, this is.